In the cryptocurrency world, these sort of schemes seem to be even more prevalent. Put your bitcoin with a site and they'll lease you some mining power and give you regular payouts for a year or some variation. Some schemes even have their own tokens. If it looks like a Ponzi, sounds like a Ponzi, smells like a Ponzi, it probably is a Ponzi. Some may get their money out but most aren't so lucky. 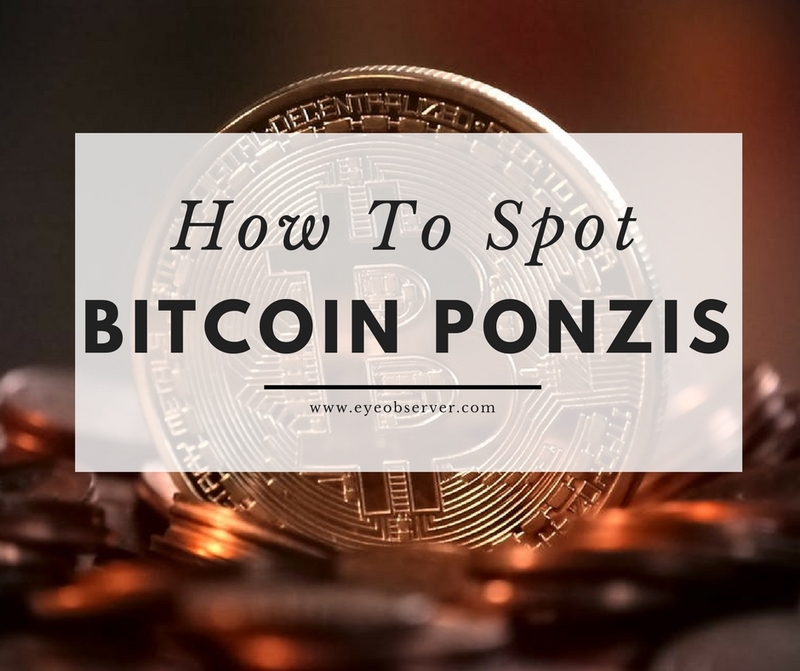 According to the U.S. Securities and Exchange Commission, a Ponzi scheme is a type of fraud that involves the payment of supposed returns to existing investors using funds from new investors. In summary, new money needs to come in to pay the old money. These schemes always collapse because at a certain point, they can't attract enough new investors to pay the high interest rates that the old investors were promised. How did the name "Ponzi scheme" come about? Ponzi schemes are named after Charles Ponzi, who tricked thousands of people in New England into investing in speculation scheme involving postage stamps back in the 1920s. Back then, the annual interest rate for bank accounts was five percent, while Ponzi promised his investors that he could give them a 50% return in just 90 days. Needless to say, the scheme didn't end well for both him and his investors. To give you a sense of how big Ponzi schemes have become in recent years, from 2008 to 2013, there were over 500 Ponzi schemes identified, involving a staggering $50 billion. To put that in perspective, this $50 billion is higher than the GDP of some third world countries. What happens to the schemers once they've been caught? From 2008 to 2013, nearly 400 prison sentences have been handed out, totaling roughly 5,000 years. The average prison sentence is almost ten years. There are also extreme cases like Madoff and Stanford who have sentences above a hundred years. There are tons of bitcoin Ponzi scams out there but the way they operate is pretty similar. Here are some warning signs you should look out for if you don't want to lose your money. When something sounds too good to be true, it probably is. The promised "guaranteed" returns aren't worth anything if the whole scheme goes bust. During the hard sell, you need to ask them, "if it really is so good, why are you selling it to me instead of keeping it for yourself?" See how they squirm. This one is particularly applicable for cryptocurrency-Ponzis. Some of the more famous writers / bloggers about cryptocurrencies are early investors in the scheme. Being early investors, they're able to take out the money, after which, they actively promote the scheme. I'd like to give them the benefit of the doubt, that they're victims of the scam too but i'm sure that's not always the case. The shills being able to take the money out is a necessary part of luring the masses to the scam. Ordinary folks need to see that some people were able to withdraw their money in order to be comfortable putting their money in. If someone can guarantee you returns, especially high returns, that should be a major red flag. The only way they can do that if they have a fake set of books like Bernie Madoff. Even banks, which give pathetic interest rates, don't guarantee their returns. I understand that the secret-sauce behind the trading or investment strategy needs to be kept a secret. After all, nobody knows what the secret ingredients in coca-cola or Kentucky Fried Chicken are. That said, if someone touts their black box trading algorithms running off an Artificial Neural Network, scream and run for the door! For bitcoin ponzis, it can harder to make a sale because there typically isn't that face-to-face element, where the salesperson can pressure you into buying. Instead, what i've noticed is that they promise ridiculously high returns. Why would anyone give you access to a hundred million dollars for free? Recently, i've read opinion pieces from senior banking executives who have labelled bitcoin itself as a ponzi or pyramid scheme. As catchy as it sounds, calling bitcoin a ponzi scheme isn't accurate at all. The victims in ponzi schemes are promised unsustainable returns. With bitcoin, nobody is promising anything. It's just a bubble. Just as it was with the housing bubble or the dot com bubble, speculators are selling to other speculators until such a point that there is no "greater fool" who will buy anymore and the whole market will come crumbling down. Just because we've identified it as a bubble doesn't mean it will pop anytime soon. In the words of the famed economist, Keynes, "the market can remain irrational longer than you can remain solvent." When times are rough financially, with incomes falling and jobs disappearing, Ponzi schemes can seem attractive. They provide a sense of self-worth and validation for the downtrodden, thinking they might be able to replace their income. The reality couldn't be more different though. Often, they find themselves feeling in a more terrible state than when they started. Some knowingly invest in Ponzi schemes, hoping to be one of the early few who were able to pull their money out, making some sort of positive return. The odds are stacked against you. Chances are, once you've heard about it, the early investors have already started pulling their funds out. In all honesty, you'd probably be better off buying lottery tickets.